We are now on a tighter budget than ever before. In a couple of weeks I will be putting down a deposit for a rented flat. I suspect that many of you are lucky enough to not have to deal with the London rental market at the moment. To give you an idea of what it’s like, a small studio flat suitable for one person, that is not near any tube station requires an up front payment of just over £2,100. The ones near tube stations were approximately 30% more expensive. This is why Goon and I will not be living together next year. He is still looking for a job and there is no way I can afford a flat to fit two people, especially not after I’ve supported both of us through the first year of my career. Needless to say, I’ve spent most of this week with my head buried in various bargain bins around Hackney and Islington. Apologies to the peaople that I’ve hissed and/or snarled at for getting to the best deal before I could fight my way forward. Hunting for cheap food brings out the killer instinct in me. To make things even more exciting, as soon as the hot weather started, our ancient freezer let out a final wheeze, fell over and died. No more hoarding bargains for me- everything is now bought on the day. Of course, we’ve been having a lot of vegetarian food (more on that when camera is fully fixed) and eating meat only when it’s on offer. Last Sunday, I was doing my usual rounds when I found a pack of two decent sized salmon fillets for just over £2. It was carried to the tills in a vice like grip. Salmon cheap! Salmon mine! Since it was the end of the week, I had spent all but £1 of our budget and so the salmon would have to be paired solely with things I had in the house already or could be bought at practically no cost. I carried out a cupboard and fridge audit and discovered that I have a lot of very useless stuff: little that could help me with the salmon. However, with a quick trip to the Turkish Grocers across the road, my remaining £1 bought me some coriander, three chillies and a red pepper, which combined with storecupboard stuff, made this. I’ve heard it said that, in order to enjoy salmon, you don’t need to do much to it at all. Just grill it until the skin is crisp and the fillet is slightly pink in the middle before serving with a wedge of lime and some buttered new potatoes. Not this salmon. This salmon was from a farmed fish, a touch fatty and just about to go out of date. Simplicity would merely accent it’s lack of freshness. But this is what strong marinades were made for. The fish was subjected to a burst of honey, soy, garlic and ginger, coated in sesame and fried untll golden. Then i contrasted the sweet saltiness with some earthy, spicy noodles. 2 portions egg noodles, cooked. Cut the salmon into bite sized pieces. Toss in the marinate and refridgerate for at least an hour. Scatter the sesame seeds into a thick layer over a small plate. Keep another small plate at its side. Take a piece of salmon, shake off the marinade, then roll it into the sesame seeds, pressing down firmly, until it is well coated., Put it on the spare plate and repeat with the rest of the salmon. Heat a little vegetable oil in a frying pan. Fry the salmon pieces over a medium heat, turning every 30s or so, until they are golden brown. You may need to do these in batches, so keep a side plate handy. Put the salmon pieces on a plate, cover with kitchen foil and keep warm. Put the corianderand chilli into a food processor and blitz until smooth. Adding a little oil, at a time, continue to pulse until you have a medium thick paste. stir in the peanut butter and mix until smooth. This will prbably thicken the mixture, so you may want to blend in some more oil. Quickly stir fry the noodles woth the paste until heated through and well coated. Keep warm while you finish up. Sautee the red peppers in a little vegetable oil until they have softened slightly. Pour over the excess marinade from the salmon and let it bubble down to a glaze. Serve the crunchy salmon on the noodles with the peppers, pour over the reduced marinade and garnish with coriander leaves. This post is really testing my memory. I was just going through my food photos from this year and foud a picture of a curry that I really wanted to post but never had time. A whole 18 weeks ago, just before the end of the Easter holidays, I was contemplating what my final term at Highgate would bring. Late nights I suspected and bad moods at arriving home hungry and exhausted at 9:30pm. I had been ill prepared for these in the previous two terms. People kept telling me it would get easier and I’d cope better as I went along. It was true to some extent, but if I was to keep preparing a full worksheet for every lesson, leaving school before 7:30 wouldn’t be an option. We decided that, in order to fend off the near psychotic rages that had ensued when Goon had promised to cook dinner but forgotten, it would be a good idea to stock up the freezer with home made ready meals. Goon exercised his training from the previous year and made a vat of bolognese which divided into 10 portions. I went down to Sainsbury’s and discovered that they had free range pork and stewing beef on offer. The beef became 6 frozen portions of beef in Guinness. The pork became the slightly psychadelic curry pictured above. This is a Cambodian Style pork and butternut squash curry. The intense yellow flavour comes from the use of turmeric and a herbal paste called Kroeung, which is made from blending lemongrass, turmeric, ginger or galangal, onion, lime leaf and garlic. The paste here is a lot wetter than normal, because I only have a crappy stick blender and so needed a bit of water to process the spices. Kroeung is a classic flavouring in Khmer cooking and quite distinctive, being earthy and yet fresh and citrusy at the same time. It provides the principal flavouring to many curries, soups, stir fries and marinades. It certainly dominated this curry, providing a nice balance to the creaminess of the coconut milk. with a little water if necessary to bind. This paste will keep for up to a week in the fridge. The recipe suggests using pork loin but we had a 1.6kg boneless leg. This was cut into bite size pices and browned in batches over a high heat. Stir fry a large knob (4-5 inches) of finely chopped ginger, 8 chopped green chillies and 2-3 very finely diced onions in some vegetable oil until the onion is soft. Add 6 tablespoons of the kroeung paste and stir fry for a couple of minutes. Throw in a 3 or 4 teaspoons of ground turmeric and a couple of teaspoons each of fenugreek and sugar and stir fry for a minute or so. Now add the pork loin and stir to coat. Add a couple of tablespoons of fish sauce, two tins (approx 1 litre) of coconut milk and bring to a gentle bubble. After 5 minutes or so add the diced flesh of 2 small butternut squash and 5 or 6 lime leaves. Allow to bubble until the squash is almost cooked. Adjust spicing at this stage if necessary. Continue to cook until the pork and squash are cooked through. The portions we ate that night were garnished liberally with chopped coriander and mint and served on plain boiled rice. The other six portions went in the freezer and were almost equally good when reheated, although the squash disintegrated a bit. This was the first time I’d encountered this herbal paste, so it seems like a good idea to enter this post to Kalyn’s long standing event, Weekend Herb Blogging. It must have been a year since I last took part but hopefully I can make more entries soon. The host this week is Kelly from Sounding my Barbaric Gulp. Visit her site on Monday for a round up of educational and entertaining posts. Apparently the paste I used is just one of a several different types of Kroeung. Variations include adding red chilli pulp, making the paste red or rhizome, making it a light green. Most pastes include lemongrass, galangal and turmeric or kaffir lime leaves, giving Khmer cooking its distinctive flavour. More detail is here at the Wikipedia page on Kroeung. Please note: for a sensible post about food, skip to the next post. It has calamari. My dear father and I are different in many ways. If there weren’t so many physical resemblances between us, you would swear we weren’t related. He’s a wide eyed hopeful religious type with faith in God and human nature. I’m a hard, cold skeptical….. well, I’m a mathematician. Nuff said. He’s a Liberal Democrat, I’m a Conservative (shock, horror). His idea of a healthy diet is eating Benecol instead of butter and buying ‘healthy eating’ everything but eating several packs of peanuts everynight. I get larded up on whatever the hell I want, be that sausages and mash or fish and quinoa salad, depending on my mood and then exercise (mosly walking) for at least 2 hours a day. He’d rather eat vegetarian food every day and live to 120, I know I’d be suicidal by next month if I didn’t my meat fix. He thinks two glasses of wine is a heavy night’s drinking. I better not say what I consider a binge. And the greatest divide of all….he thinks canned tuna tasted better than a juicy rare tuna steak……. URGH!!!!! Normally we agree to disagree (or I argue until he gives up) but there is one disagreement we can’t settle. Yes, I agree this is very silly but this will settle a long standing argument. I would like your opinions on a certain type of wine, namely, the 80’s classic Liebfraumilch. So, I’d like your verdict on this sweet white if you wouldn’t mind, in the comments box, whether you love it, hate it or are totally indifferent. How much would you/have you payed for a bottle? Comments on brands are fine, just don’t be too rude. I’ll save the opinions of myself and my father for later (although you can probably guess what they are). Typical! I finally get some time to blog and my stupid camera goes psycho on me! I had a post for last Friday but I’ll have to publish its follow up first, while I battle with the useless customer helpline for my camera. Over the last academic year, my cookbooks have become full of little yellow post-it notes, urging me to try various things when I had a free moment. A recipe from one of my bargain books was top of my list: drunken chicken with Tequila and plaintains. As much as I moan about Dalston with it’s horribly busy high street, drunken,noisy nightlife and the general lack of most useful things to buy, it is very good for finding cheap fruit and veg. There have been occasions, while heading home along the walkway that runs along our block, when I’ve turned to look at the Kingsland Road and noticed how much it reminds me of a city street in Sri Lanka. The shops include small eateries and little local barber shops where everyone knows each other. There’s also a feel of it being run down with several buildings that are graffitied and seem to have their shutters down permanently, but most stores here are grocery shops with vast arrays of fruit and veg on display, including some of the greenest potatoes I’ve ever seen and also the most wrinkly peppers. If it weren’t for the slightly out of place gastropub on the corner, I might forget that I were in England. As well as general fruit and veg, Dalston is particularly good for Carribean ingredients. The liittle market stalls on Ridley Road offer a range of interesting produce that I intend to explore more thoroughly over the weeks before I move. This was useful when I suddenly decided that tequila chicken was on the menu for that evening and I needed a plaintain in a hurry. However, I suggest that, unlike me, you don’t wait until 7pm before you go shopping there. With most of the little stalls shut, the deserted market had a dilapidated and slightly sinister feel to it. I was glad that I’d decided to do this in the summer months while it was still light in the evening. Only one tiny little stall was open. They had plenty of ripe plaintains, just what I was looking for, and a fair few other things I was curious about, including a box full of some kind of shelled creature that I was too cautious to invesigate. The guy running the stall was rather bemused when I just tried to order one plaintain though, and kept filling up the bag with more fruit. Ah, well, it cost 50p, and I suppose I can make myself eat sweet fried plaintain if really necessary. Other than the plaintain, the ingredients for this meal are easy to find and the chicken is relatively simple to prepare. The accompaniment of green rice was a tad more time consuming than I imagined, but well worth it in the end. If you’re going to make this, please note the rice is HOT! Goon didn’t know this, despite watching me puree the green chilli before adding it to the rice. His natural instinct when confronted with a hot dish is to cool his palate with starch. Sadly for him, this time it was the chicken that was sweet and soothing while the rice was fotified with jalapeno. It took him five quickly scoffed mouthfulls before he realised what was going on. The only real problem with this meal is that it included Tequila. I wasn’t expecting it but, through cooking this, I’ve discovered that I like this strange Mexican spirit. A lot. Possibly more than gin which is really saying something. I have consumed almost a bottle fairly quickly in the form of frozen margaritas and now I’ve nearly run out . More importantly, I couldn’t get that irritating song by Terrorvision out of my head while I was cooking. Hmm…. I may need an excuse to buy another bottle… I’m thinking salmon cured in tequila with lime and coriander? Perhaps next week….. Put the raisins in a mug and pour over the sherry. Leave to soak for around 20 minutes. In the mean time, coat the chicken in the seasoned flour and brown over a high heat. Drain and set aside. Sweat the onions and garlic together in some vegetable oil until soft. While the onion is sweating, peel and core the apples. Chop the apples into small cubes. Add the apples and plaintain to the pan. Add the raisins, sherry, chicken stock and tequila. Bring to a gentle bubble. When the mixture has reduced by around 40%, add the browned chicken thighs. Cover and allow to cook until the chicken thighs are fully cooked. Adjust seasoning and serve with the green rice. Cut the pepper and chilli in half and remove the seeds. Place under a medium grill, skin side up, until the skins are blistered and charred. Remove from the heat. Cover the rice with boiling water. Leave to stand for around 20 minutes. When the pepper and chilli are cool, peel the skin from them and roughly chop the flesh. Process the pepper and chilli with the garlic. Then add the herb leaves and process until you have a smooth paste, adding a little chicken stock if necessary. Fry the (now almost cooked) rice and onion together until the rice is golden brown. Add the herb paste and fry for around 5 minutes, allowing the rice to absorb the moisture in the paste. Add the chicken stock a little at a tiime (risotto style) and allow it to be absorbed until the rice is cooked. Serve the chicken garnished with chopped herbs with the green rice and sauce and maybe a green salad if you want to be healthy. This dish had a real kick to it, which mostly came from the sherry soaked raisins. The tequila imparted an interesting, deep earthiness alongside the sweet-tart flavour of the apples. I was pleased with the flavours in the dish, although I think it definitely needs something texture wise. The sauce is thick and the plaintain soft, giving it a bit of a gloopy feel at times. The firm chicken meat made up for this a little but something with some more bite would have turned this meal from good to fantastic. Any suggestions would be most welcome! My favourite bit of this meal was the rice. It was flavoursome and had a good chilli kick. I think I may have used a bit too much herb paste though- I think it turned out greener and more moist than it should have. About 25g of each herb woul;d have been sufficient. 1 chilli was certainly sufficient although the recipe suggested 2. Well, hopefully, it is. Poor neglected blog. I even forgot its birthday, being somewhere in between marking mocks and keeping a lid on hyperactive lower school sets. If any of my past readers haven’t given me up for dead and stopped checking this site, I am about to anounce yet another change. I have decided to leave my job at Highgate and move back to West London altough I am still staying in teaching. Actually, I decided to leave my job in Highgate in February. It has been a long, tedious, drawn out goodbye made even more tedious by the fact I had to keep t under wraps for a long, long time. A food snobbery that rendered me incapable of living in the badlands of Dalston. The realisation that teaching is a lot harder than it sounds. While (2) is true to some extent, it wasn’t enough to put me off my chosen career path. However, given the mistakes I’ve made in the classroom this year, a clean break might be advantageous, especially if I can move to an area in which I know exactly where and when I can get the ingredients for a very good meal. It does, however, mean I have to start my search for a decent kitchen again. Rats! I am seriously hoping that my new position will allow me to update this site much more frequently than I had been. My commute will be far shorter and with any luck I won’t have to spend quite so much time creating my own resources next year. Fingers crossed. At any rate, the next eight weeks should include some fairly frequent posting. In the mean time, here is a recipe that I made a few weeks ago and started to blog before passing out at the keyboard. What a backlash I got from that last post on braised rabbit! Luckily for me, the criticism wasn’t internet based but from people I could quite happily argue with face to face, namely my father and one of my students. 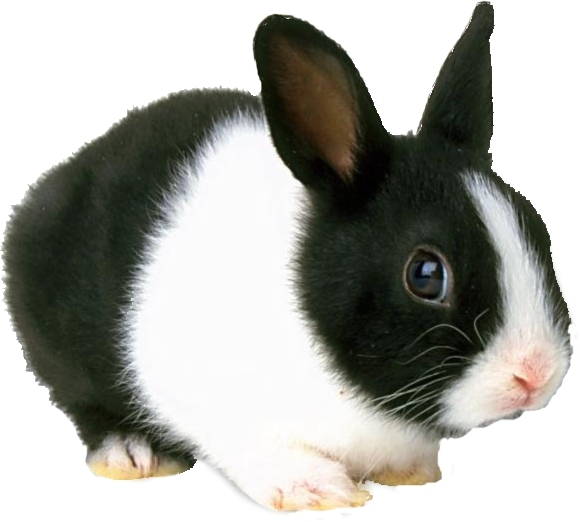 It appears that the problem is not that I cooked a rabbit but that I used a picture of a bunny that was cute. That’s it. If I’d used a picture of an ugly rabbit, no one would have cared. So, I did a long and tedious internet search to find a picture of a rabbit that wasn’t cute and fluffy to appease my father, but all I could find were these. See my problem? 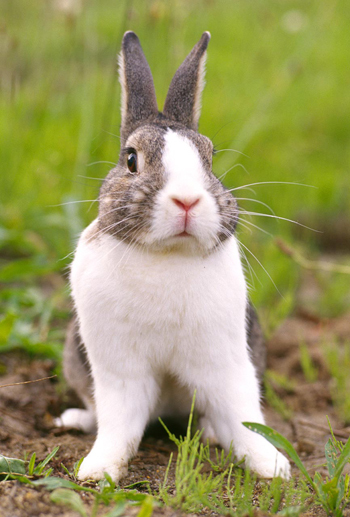 Rabbits are naturally adorable despite being pests. After a lot of searching I did however manage to find a picture of the rabbit that is the one exception to this rule. 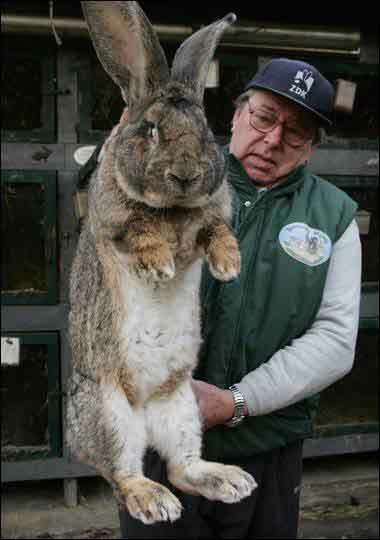 Hmm…somehow I’m not entirely convinced that this rabbit really exists. Cuteness aside, there are a lot of good reasons for cooking up wild rabbits (I specify wild for a reason, see this post for more detail). If you avoid butchers and go for farmers’ markets, you’ll often find rabbits for around £4 each. That’s enough to feed at least two people, possibly three (or twenty if the rabbit is anything like the one in the last picture). The meat may take a while to cook but after a good long braise it will fall off the bone and it has a strong earthy taste that isn’t overpoweringly gamey. It’s versatile too. It works with light lemony flavours over pasta, in a cream sauce with paprika, in a curry (I’ve yet to try this but I believe it will work) or, as below, in a stew with aromatic North African flavours. I got the idea for this recipe on one of my many long walks through Islington. Once I mustered up enough cash to afford a trip to a restaurant (more on that later), I decided on the place I should visit by reading a lot of menus and deciding which one had the most dishes I couldn’t attempt myself. A Moroccan restaurant on Upper Street had an intriguing idea for a tagine of rabbit with pears and currants which I promptly stole before deciding to visiti the Latin American restaurant on the next street. Turn the heat on the pan to very low. Add a splash of olive oil and the onions, garlic, ginger and spices. Allow to sweat gently for 5-10 minutes until the onion is soft. Add the stock, honey, saffron, sultanas and coriander leaf. Stir well, turn up the heat slightly and allow the mixture to bubble gently for a couple of minutes. Taste the sauce and adjust spicing. Add the rabbit to the saucepan and arrange to the rabbit is covered (or as close as you can manage) completely by the sauce. Bring this mixture to a simmer. Simmer for 2-3 hours, until the rabbit is tender. Strain the liquid off into another saucepan. Boil vigourously (well, as vigorously as you can without it spitting) until reduced by half. Add the pears and the remaining sultanas and boil gently until the pears are soft. Serve the rabbit joints with the sauce, pears and some couscous with almonds and/or vegetables.